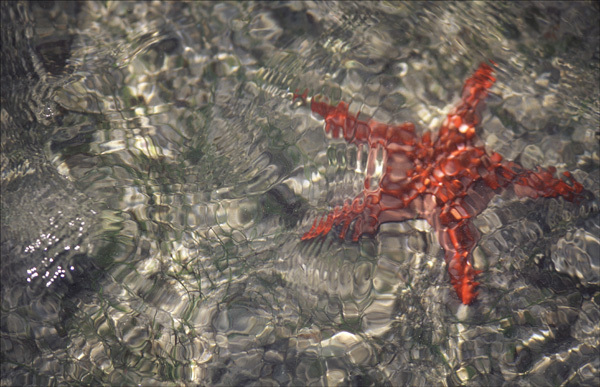 Ron and Maggie Tear Photography: Starfish, ( Sea Stars ) Indian ocean. Starfish, ( Sea Stars ) Indian ocean. Went on a trip to Prison Island, off the coast of Stone Town, Zanzibar. Found these starfish in the shallows, amazing colours from green to red, blue to yellow. Took this image as the tide came in, rippling the water. Prison Island, Zanzibar channel, Indian Ocean.